THREE words: jaw-dropping beauty. Stunning. Breathtaking. Okay, so maybe more than three, but words do not do Estancia Vik in Jose Ignacio, Uruguay justice. Seeing is believing. 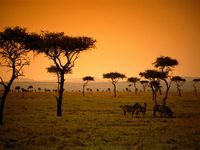 First, there are the 4,000 acres of rolling hills dotted with cows and horses, which are matched with expansive views of a silvery lake and a beaming Atlantic Ocean in the distance. Then, there is the contemporary, white-clad ranch abundant with avant-garde art, decorated by local artists and inspired by the surrounding land and nature. Next, the Estancia’s sustainable philosophies will steal your heart. Here, you will find a private herb, vegetable, and fruit garden overflowing with organic beauties, which are complemented by recycled water, solar panels, and wind energy. If all of that is not enough, take one step inside Estancia Vik’s open barbecue room. 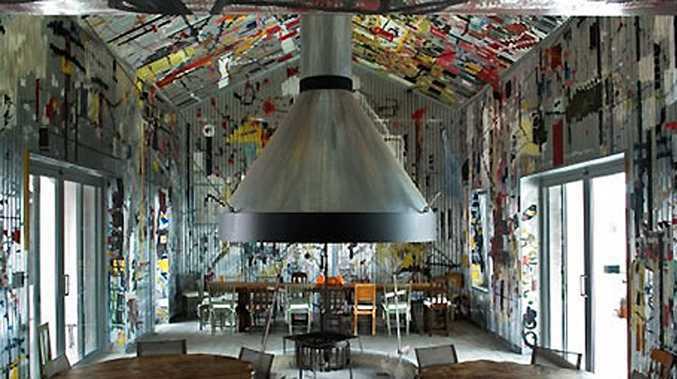 Resembling a massive tin warehouse with what seems like an endless ceiling and striking graffiti-covered walls, the space was decorated by a Uruguayan artist inspired by the nation’s gaucho shacks. In the centre, a wood-burning fire grills up everything from Uruguayan rib eye to an array of tantalizing sausages to fish, fresh from the ocean. At Estancia Vik, everything is sustainable, local, inspired, and absolutely gorgeous from the food to the views to the art. But if you’re still not convinced, hop on a plane and make your way down to this boho chic beachside village. You won’t regret it.